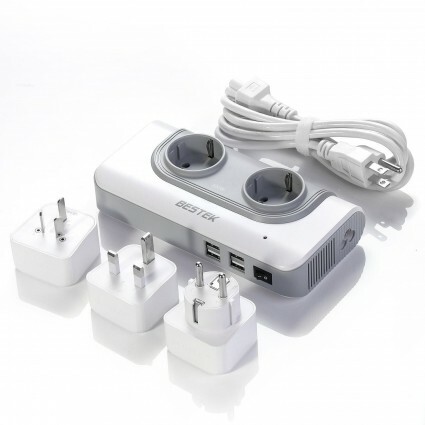 BESTEK converter is not only a power converter for Europe, America, etc, to converts overseas voltage from120V to 240V and powers up your US electronic devices safely, but a universal plug adapter with multi USB ports to fit for any country’s charging port. The power converter and travel adapter is your ideal companion for your international travel. 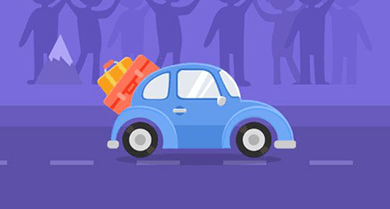 The power converter can convert any voltage to DE voltage (240V), enabling you to charge any DE electronic devices safely when traveling around the world. Built-in 4 USB charging USB ports isolated from AC outlets for the safety of your devices, you can charge up to 4 devices simultaneously at the fastest speed automatically detected and delivered by IC system. Included 3 international adapters (UK/US/AU/EU plug), the charger adapter can meet your different charging requirement in different countries. The converter is compact with 5 feet detachable power cable, easy for you to pack and take. Built-in over-current, high-temperature, short-circuit and surge protections, it can protect your devices from damage. Dual cooling fans on both sides can reduce the heat to ensure a long working life. On/off power button with LED indicator can intelligently tell you the charging status in time. • When charging multiple devices at the same time, make sure that its total wattage is less than 200w to avoid over-heating or damage. • Please don't use this power converter to charge your hair dryer, hair straightener or curling iron.